Based on rankings alone, Shopify is the most popular Ecommerce website builder, followed quickly by BigCommerce . But what happens when the two go head to head? Check out the results below. 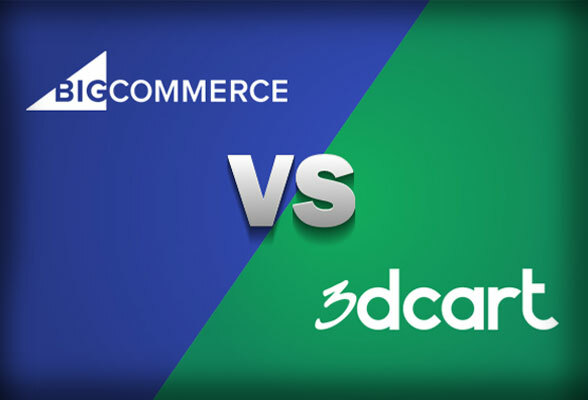 BigCommerce and Shopify are the number one players of web building when it comes to both features and apps for Ecommerce capabilities and online stores. While they both have hundreds of awesome apps to make your website pop, including easy inventory management as well as marketing and branding extras, Shopify has a unique payment gateway (which means no transaction fees and auto integration), and lets you create accounts for returning customers. You can fully customize your online store and the platform allows you to easily fill orders in a single step and manage unlimited products. Additionally, you can sell your product on the newest sales channels, like Pinterest and Amazon. For the more tech-savvy users, there is an option to customize your store with full access to HTML and CSS. While we love the choice of apps at Shopify, you’ll need to set up each feature individually. For example, this means a different app for returns, one for social reviews, one for inventory, etc. As each app takes time to set up and often comes at a cost, it's tough to beat BigCommerce for its super-fast and competitively-priced features setup. To add to that, BigCommerce’s abandon cart auto-responder trumps all for conversion rate success. BigCommerce provides small business owners with the marketing tools and other ways to reach even more customers, such as inventory syncs with Facebook, Pintrest, eBay, Amazon and now Square POS. There are also features designed to help convert more mobile shoppers, such as a one-page checkout and integrations with PagePay and Apple Pay. Shopify has a nice assortment of beautiful template designs to choose from, including both paid and free versions. There are options for single products, as well as small, medium and large catalogs. However, in terms of options, it simply cannot compete. BigCommerce lets you quickly and easily build an online store and offers a huge variety of unique and gorgeous design templates, many of which are responsive, self-resizing, and totally customizable. Some designs also include extra special features such multi-tier navigation and advanced search capabilities. Shopify has easy-to-use dashboard controls, so business owners can easily make changes to the site design, add products and even migrate from another service with its one-click migration process. The dashboard gives you a holistic view of your sales, orders, and audience, with built-in SEO features and automated marketing available. You are completely in control of your orders, analytics and site design at all times, and if you are a growing company, Shopify provides you with all the tools you need to scale up. BigCommerce has a massive selection of apps that are easy to integrate and help make marketing and conversion for your business much easier. You can easily take advantage of tools such as Google AdWords, A/B testing programs like Optimizely, and automated shipping processes like ShipperHQ, Ordoro, Endicia and many more. 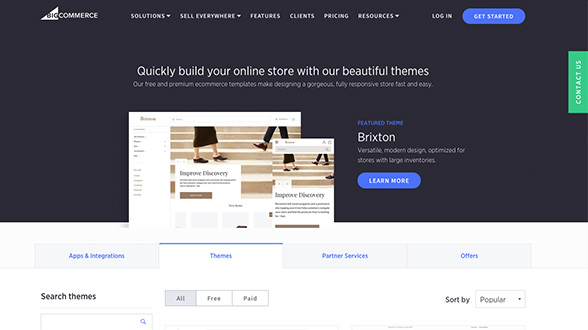 The BigCommerce style editor has great point and click functionality, and it offers top-notch online inventory control, but many users prefer the ease of the Shopify drag-and-drop tools for ultimate storefront design, as well as its mobile integration for running your business on the go. 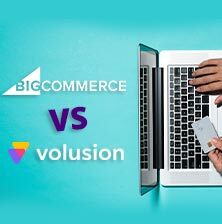 It’s all very well to make big promises, but which Ecommerce solution really turns up when you need help? BigCommerce has staff available all the time to answer email and chat questions, but you’ll need to catch them during business hours if you want a phone consult. Alternatively you can ask a question to the community of business owners and experts, or check out the troubleshooting guides. There is also the BigCommerce university, which provides short videos that cover topic such as launching, managing or growing an online store. Shopify is a true 24/7 customer support service, offering phone, email and chat so you’re never left hanging on. If you prefer to find the answers to your problems online there is a comprehensive help center. 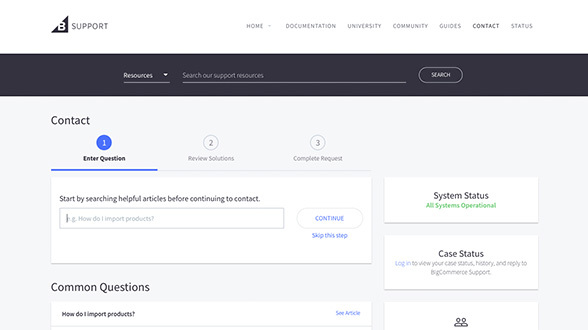 Here you can access over 15 Help Topics, ranging from setting up your Ecommerce store or migrating an existing store with Shopify, to analytics and paying taxes. There are also a variety of video tutorials and online webinars available, making Shopify the easy choice when it comes to comparing customer support. This is where things get tricky. Shopify has several plans, starting at just $29/month, but the first two plans are severely limited. What’s more, it charges a higher transaction fee on all orders, which is an extra cost, (and an extra hassle) even if you factor in the money saved by utilizing the Shopify payment gateway. 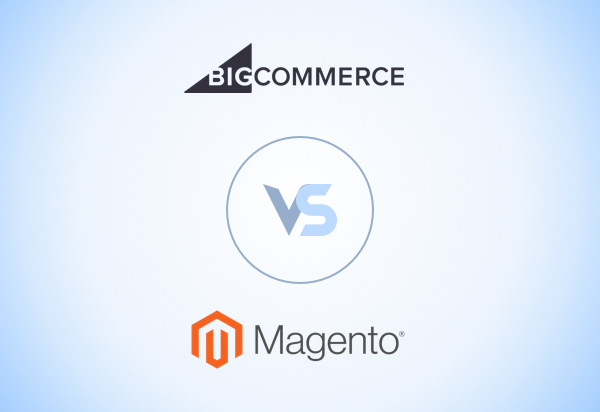 In contrast, BigCommerce takes no transaction fees at all on the higher priced Ecommerce plans. If you are looking for broader features and an easier-to-manage service, BigCommerce wins for value. 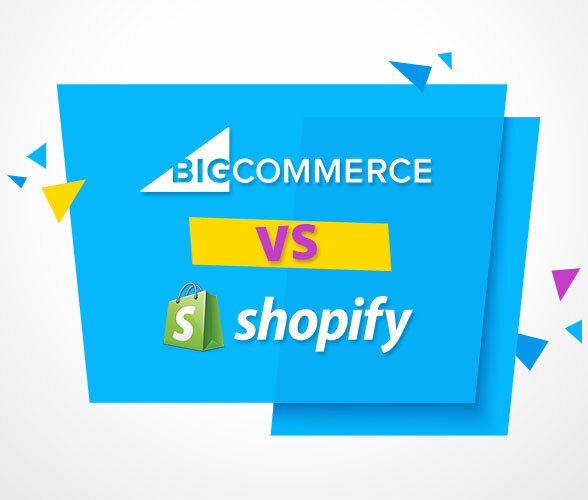 While Shopify offers an easy-to-use system and excellent customer support, BigCommerce comes out the big winner in this head-to-head comparison. 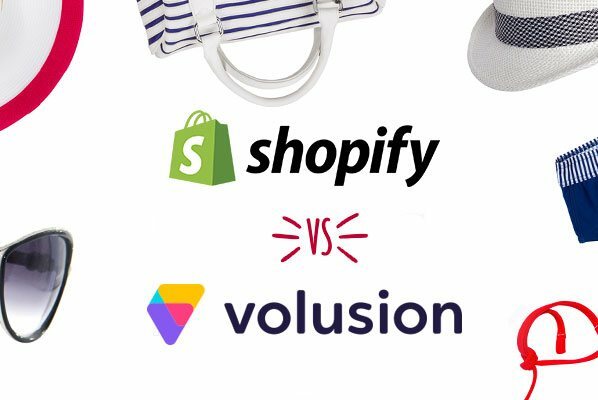 Its exquisite design options, super-fast features, and unbeatable prices keeps Shopify at bay in second place (for now). Let BigCommerce transforms the way you do business today.